When one explores a family tree and discovers the loss of children, it is a sad thing. 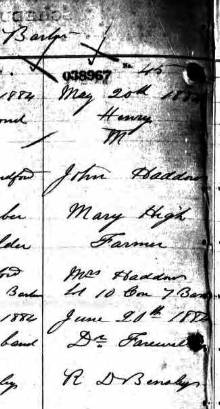 My Great Uncle Henry Haddow was born on the 20th of May, 1884 and passed away as a little boy on the 8th of July, 1887. 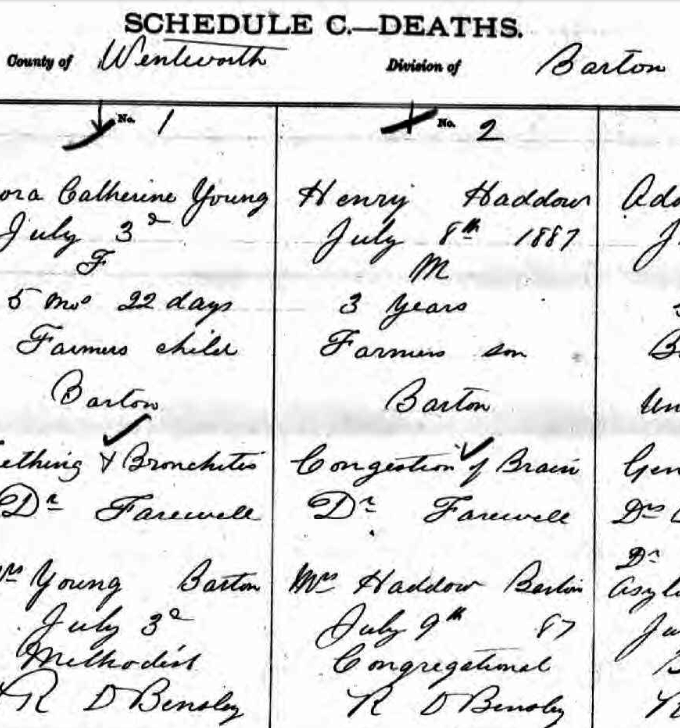 At the time, the family was farming and living in Barton the County of Wentworth, Division of Barton Lot 10, Con 7, Barton Twp. His father, John Haddow, was listed as a farmer and his cause of death listed as “Congestion of the Brain”. HUH?